Whether you are going for a quick stay or vacationing for quite a while, you need to be prepared before going to Japan to save yourself from getting lost and all the related hassle. Remember that language barrier is one of the things that will stall you or might prevent you from going around places so keep this list in mind for an enjoyable, hassle- free Japan trip. - Of course this is a non- negotiable. You have to obtain a Japan Visa first before everything else. To know how to apply for a Japan visa for first- timers, click HERE. - You can practically get to almost anywhere in Tokyo just by riding the train alone; it's the cheapest way to get around Tokyo and Greater Tokyo, plus bus routes are hard to figure out and taxis are frikkin' expensive so the train is your best option. It is known that Tokyo's train system is one of the most complex in the world: there are 30 operators, 121 trains, and hundreds of stations in Tokyo and Greater Tokyo. I wouldn't even suggest that you memorize these because it's close to impossible; even the Japanese are having a hard time memorizing their very own subway system! That's why they built an app that guides everyone at Tokyo Subway called Navitime JapanTravel app. This is the only thing you need to survive Tokyo's subway system and minimize the risk of getting lost. The app can run on Apple and Android devices. Just download it, follow the system prompt, and you're done. It contains a handy map of Tokyo Subway, tips on how to maximize your stay in Japan, budgeting tips, and must- visit sights. After putting these details, the app will show you which lines to ride, which station to switch trains in (if needed), and the quickest possible route. You have to know which station you're departing from and going to for the app to give you the right directions. There are sufficient signs, symbols, and English translations of the station names in the stations, thus you'll be fine and no need to worry about translating. I suggest before you go, list down the exact or nearest subway exits and entrances of your destinations. P.S. The app is synced with the official time of the subway, as well as train arrivals and departures. How efficient! - Suica and Pasmo are the train cards of Tokyo Subway. You can readily purchase one in all subways. Before, Suica was intended mainly for the JR lines and Pasmo, for the other lines such as Toei and Keio; when I went there last June 2016, both cards can already be used interchangeably regardless of the station; that's a really good upgrade. You have to purchase one (or two if you wish) to ride the trains; if you're staying for a few days only, you can do the manual reloading, but if you're staying for a while, you may want to get a longer pass; you can even have your name engraved on the cards. These cards can't run out of credits so best to always check your balance in the station before traveling. You can also use Suica and Pasmo to purchase food, beverage, and other items in select establishments. If you've got some credits left before leaving Japan, remember that you cannot refund it so use it instead to buy food or souvenirs in the airport. - This is IMPORTANT. Because the subway app can only work if it's connected to the internet. Sorry to burst the bubbles of those who keep on saying that the Philippines should be like Japan and provide nationwide WiFi, but no, WiFi is not free in Japan and there's no nationwide WiFi available (except in certain areas like Shinjuku because it has one of the main subway stations where all train systems converge). You really need the help of the internet to get around Japan. We all know that roaming data plans can be sooo expensive so the best option is to rent a pocket wifi. I highly recommend Pupuru because they are very accommodating, respond promptly, willing to go the extra mile for service, and their WiFi is fast. I only found out about this pocket wifi thing two days before leaving for Japan and I booked for a pocket wifi a day before leaving; unfortunately, I had a problem with my credit card and technically, I only booked hours before leaving and they were able to accommodate me, still. But please be reminded that the standard allowance for booking a pocket wifi is 2 days before your arrival in Japan. You can either pick it up at the airport or have it delivered to your hotel. For one day reservations, they will only deliver it to your hotel. You can actually rent pocket wifi at the airport. However, the rate per day of rental will be double versus booking online. If you want to save money, book online. P.S. one device can accommodate at least 8-10 users, depending on the size and speed of the device rented. If you're traveling with no more than 8 people, one pocket wifi device should be enough. **The package I ordered is the lowest plan (WIFI 10GB USAGE, ROUTER ONLY, NO MOBILE PHONE), 400Y/day (approximately P200.00+ per day exclusive of tax and insurance). **Payment is via credit card only if rental is made via website. On counter pocket wifi rentals may accept cash payment. Rental will be billed a day after surrendering the unit. **Surrender your unit at the airport. Put the unit in an envelope (Pocket wifi company will provide it) and drop it in a mailbox (color is red, at least at Narita International Airport) before departure. - The biggest mistake you could probably make is to buy amusement park tickets on the day of your visit because it's either 1. They're sold out 2. The line is sooooooooooooooooo long. Save yourself from the hassle and pre- buy tickets, especially for the popular parks namely Harry Potter world (Universal Studios Osaka). Tokyo Disneyland, and Tokyo Disney Sea. Visit the respective websites of these parks for more information on how to pre-buy tickets. I asked my cousin to buy me Tokyo Disney Sea tickets before going because she is a resident of Japan. If you don't have anybody to buy tickets for you, I suggest that you pre-order. If this is not possible, schedule your park visit at least a day or two after your arrival so you have time to buy, but my advise is don't schedule your park visit on a weekend because parks are most likely packed! Wow! You're going to Japan again? Huhuhu. I wanna go there to. Sana may pagiveaway din po kayo trip to Japan. Hahaha. But Tokyo is far away from where my boyfriend works. Helpful as always, i want to go but how? Happy that you enjoy your trip! Yass! Thanks for the tips Ms. Martha. I wish to travel to Japan also with my family. Will wait for your post about your travel in Japan. Waaaah! This is my dream vacay. Looking forward to your next blog.Thanks for the very informative write up. 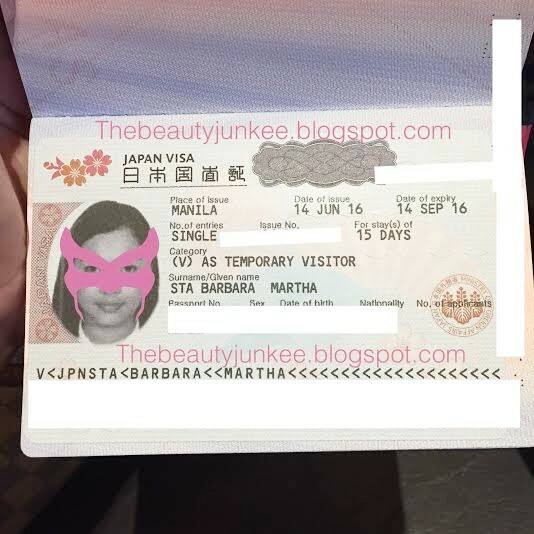 These information are very helpful Ms.Martha lalo na sa mga 1st time pupunta sa Japan. Wow everything in Japan looks so cute. I thought they'd have more japanese characters written on the cards, naka english alphabet na pala. Thank you for sharing travel tips, I'll have a lot of bookmarks already on guides about traveling...your post is truly helpful! Noooooo! I really want to go there! Plus mga Japan goodies are the best! Can you please make Japan Haul or upload a vlog? Thanks for the tips Ms. Martha! I've always wanted to go to Japan. Thanks for the tips they were very helpful! I will be going to Osaka and Kyoto next month, can you recommend good makeup finds both drugstore and otherwise that I should look out for to purchase. Thanks in advance! !